As the days shorten, it is time to consider the harvest of one’s ginger plants. 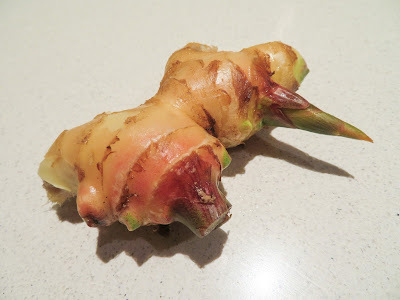 Harvesting in April, Sydney-time, will produce young roots of Zingiber officinale, which are fragrant and mildly spicy in flavour. However, allowing the green stems to wilt and the roots to mature through the winter months will produce an older, drier, spicier ginger… the ginger which one normally encounters in the shops. Last August, we took advantage of unusually low prices for older ginger root at the local green grocer’s. Buying a kilo of ginger, some was sliced and frozen for later use. The rest – the pieces with well-developed ‘eyes’ or stem growth buds - was planted in a well mulched and fertilised part of the garden. Throughout the season, the ginger has grown strongly, producing a splendid crop of young roots. Some, we have dug for their young and juicy roots to use with pork and fish dishes chiefly. As a neutraliser of strong smells in meat, it is second to none. The rest will be lifted later, and the best rhizomes will be retained for next season’s crop. Baked fish seasoned with slices of young ginger. The fish is dart, a common fish of the beaches of New South Wales. 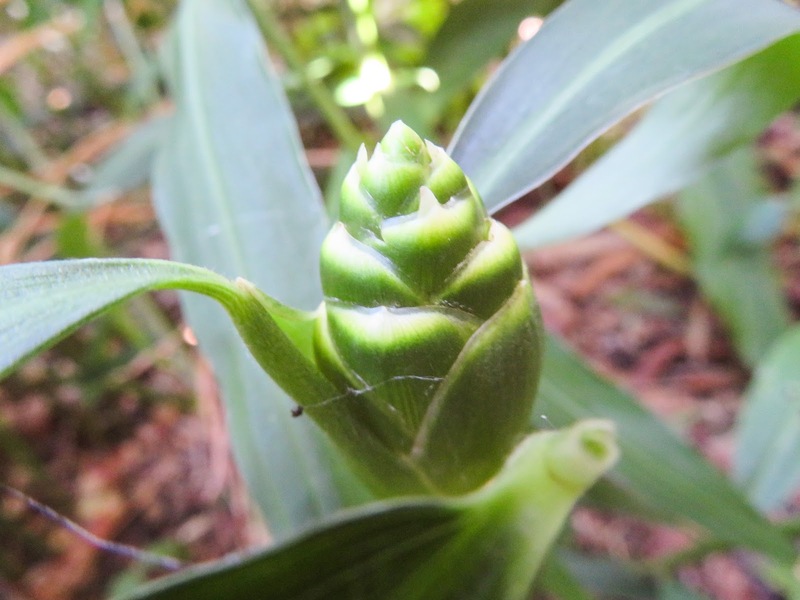 Like our other gingers, common ginger seems to prefer a part-sun or filtered-sunlight situation: ours grow in the company of a macadamia tree, chilli and basil plants. Furthermore, in such a position, protected from strong winds, its longish, pencil-thin stems will produce plenty of flavourful rhizomes for the wok and the pot.